We take pride in designing and creating beautiful bespoke wooden furniture. Lasting quality is guaranteed as we only use the finest materials and fittings to compliment our excellent craftsmanship. Adrian specialises in the design and creation of bespoke furniture, from single one-off pieces to full collections. He will craft a piece that suits your tastes, lifestyle and exact room measurements. 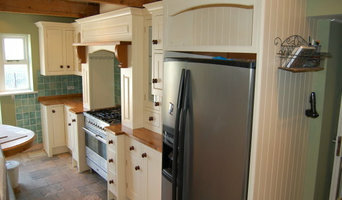 We design and make beautiful handmade kitchens and furniture. Each and every bespoke piece of furniture is handcrafted in our Cheshire workshop by our experienced team, who combine a passion for their craft with expert technical knowledge. We are committed to ensuring that every aspect of our furniture designs are of the highest quality, using only the finest products and materials available, from sustainably solid hardwoods and stunning marble worktops, to the decorative finishing touches and ironmongery. Davies and Foster specialise in bespoke joinery. We make handcrafted alcove units, kitchens, wardrobes, and furniture, all in our workshop which is based in the beautiful city of Chester. We are a family run, local business, with a passion for woodwork, craftsmanship, design, function and providing a great customer experience. Need some bespoke joinery work carrying out? We would love to hear from you. From my workshop in Leek, Staffordshire I design and make furniture to commision. 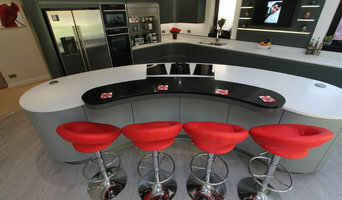 This includes bespoke kitchens, fitted furniture and freestanding furniture. 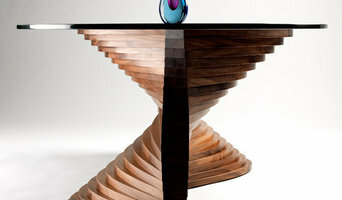 I started Forest Furniture in 2002, to create handmade furniture for both private and professional clients. Over the last decade, I have built a reputation as a reliable, innovative creator, for home and work spaces. I provide a 'complete' service to clients from the design stage through to the manufacture and installation. All my work is truly ‘bespoke’ and crafted in my workshop, near Alderley Edge. "The devil is in the detail" and my attention to the detail, is second to none. By working with you, I will listen to what you have in mind and then suggest a few different ways to make that happen. I will create drawings and provide all the samples you will need to reassure you that you are making the right choices and are on the right track. As part of the creative process, customers can also choose from a range of customised finishes, all completed in-house, in either paint or lacquer. As with any project, large or small, I provide a comprehensive preparation and installation service. From removal of existing furniture, preparatory work including plastering, tiling, electric and plumbing work. I can also offer full project management for significant building alterations that you may require. If you are thinking about changing the space you live or work in, get in touch. I will show you how to find the space you never knew you had, or create a dream kitchen that will become the heart of your home. Unless you are after a completely exposed look, cabinets and cupboards will be staple pieces of furniture in your home. While most people turn to furniture shops or showrooms, if you want a more unique look for your cabinetry in your kitchen, bathroom or elsewhere in the house, then hiring cabinet makers in Timperley, Greater Manchester through Houzz could be your answer. Why should I hire a Timperley, Greater Manchester cabinet maker? Cabinet makers are skilled craftsmen who can design, make, rework and repair cabinets and cupboards. They can create bespoke storage or kitchen units for your home that meet your needs and fit with your interiors. They can also advise you on materials and cabinetry styles if you’re not completely sure on the design yet. With the right bespoke cabinet makers in Timperley, Greater Manchester, no cabinetry job is too difficult, so even if you have a tricky corner space that you want to utilise, a Timperley, Greater Manchester cabinet maker can create a cupboard to your specifications. Bespoke cabinet makers are more than just bathroom or kitchen cabinet manufacturers and they can be commissioned to create storage cabinetry around the home. Bespoke TV cabinets are in popular demand due to the variations of TVs, consoles, digital TV boxes, DVD players and other items that we want to keep near to our televisions. Skilled cabinet makers in Timperley, Greater Manchester can create a one-of-a-kind TV cabinet or media centre to house all your entertainment goodies. If you already have cabinets or cupboards that you’d like to keep, but they’re just in dire need of a facelift, then bespoke cabinet makers may be able to help, too. You may wish to replace kitchen cabinet doors, give your cupboards a new colour, add decorative elements or use a special finish; whatever the cabinetry task, ask cabinet makers in Timperley, Greater Manchester if they can help you. If you need the help of a cabinetry professional when renovating a home, make sure they are happy to work with any other professionals working on the project. Here are some related professionals and vendors to complement the work of cabinet makers: Kitchen & Bathroom Designers, Kitchen & Bathroom Fitters, Interior Designers, Home Storage Designers & Professional Organisers, Carpenters & Joiners. How long have you been cabinet makers in Timperley, Greater Manchester? Find a cabinet maker on Houzz. Narrow your search in the Professionals section of the website to Timperley, Greater Manchester bespoke cabinet makers and cabinetry. You may also look through Timperley, Greater Manchester photos to find examples of cabinets that you like, then contact the cabinet makers in Timperley, Greater Manchester who worked on them.